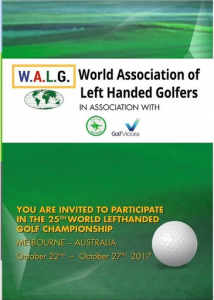 On behalf of all Australian Lefties I welcome you to participate in the 2017 World Championships in Melbourne, Australia from October 22nd – 27th 2017. 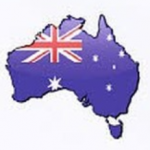 We have assembled some of the top 50 Australian courses in the world famous “sand belt” area of Melbourne and every course will have its own unique challenge to test all standards of golf. The headquarters will be at the Pullman Melbourne Albert Park in Queens Road Albert Park with a golf course across the road and a 4.5 km tram trip to the city centre. We suggest the Pullman Hotel for your accommodation because it is on the south side of the City towards where all the golf courses are located and buses will only leave from the Pullman. Melbourne is renowned to be the “fashion capital” of Australia as well as numerous fine dinning or elfresco eateries and for example, the Southbank area on the Yarra River leading to the Crown Casino is always a very popular spot for the city lights and entertainment. Non golfing partners will be well catered for with everyday tours as there is just so much to see in Melbourne including the National Gallery, the Philip Island Penguin Parade, the Zoo, or just jump on a tram and see where it takes you. We acknowledge the kind support of Golf Victoria who will be handling all golf registrations whilst the Pullman Melbourne Albert Park will be handling the accommodation. All the prices will be available on our website at a later date and we look forward to your participation.